When peace of mind and security for your home, family or small business are your concern, let Hamilton Ferris Co. provide you with a solution. Our background and 35+ years of experience allows us to properly size, design, and install a backup system to your exact needs. PROTECT YOUR HOME AND FAMILY OR YOUR SMALL BUSINESS, 24/7! HURRICANES OR WINTER SNOW & ICE STORMS! REMEMBER WHAT HAPPENED THE LAST TIME YOU WAITED? THE TIME TO GET YOUR GENERATOR, IS WHEN YOU DON'T NEED IT! Hamilton Ferris Co. offers home generator installation and preventive maintenance plans throughout Eastern Massachusetts and Cape Cod. Call (508) 743-9901 or request additional information through our website. Hamilton Ferris Co provides complete Preventive Maintenance (PM) plans for the generators we sell and for the automatic or portable generator you may already own. Our rates are affordable and the quality of our service is unmatched by anyone! We offer PM service throughout eastern Massachusetts and all of Cape Cod. Don't take chances with your investment - Keep your generator in top shape with a PM plan from Hamilton Ferris Co. Call to set up your plan today! 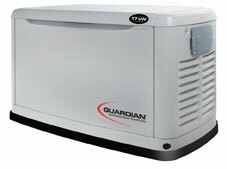 It's too late to start thinking about generator Preventive Maintenance when the storm hits... Plan ahead. Call now to add your generator to our Preventive Maintenance schedule!